Well, the time came this last fall when our oldest started her kindergarten year. Although she had gone to two years of preschool, there is just something about sending your child off to “real” school. She was equipped with the cutest little unicorn backpack, a darling cat ear headband and all the excitement in the world. She is seriously a shining light, you guys. So smart, so caring, gosh.. I just love her so much. Having gone through school myself, I totally know the importance of an amazing teacher. You guys, I passed chemistry in high school SOLELY because Mrs. Haines pushed me and showed me what I was capable of. This year, I am so absolutely grateful for my daughter’s teacher this year. Not only is she so super sweet, but she keeps me updated on a school app with photos of my daughter during the day showing me what they’re up to. I can tell that she CARES about my child, like truly and genuinely. She has the kids do such fun things in class and uses the cutest little objects for math centers. My daughter is so in love with her. Now, I’m totally not one of “those” moms that goes all Pinterest-y for every class holiday (well, I totally pin all the ideas but that’s usually where it has ended.. ha!) but I have been motivated and inspired to make something special for a very special person in my daughter’s life. 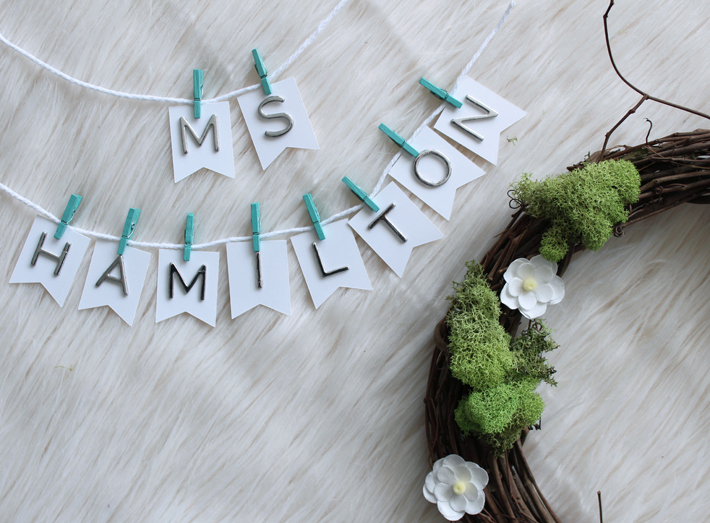 In the beginning of the school year, Ms. Hamilton sent out a flyer with information about her, her background, some of her favorite things and even her wish list items for the class. Having some ideas already on what to make, I knew that the flyer had some things on there that would be super helpful to make her gift just perfect. 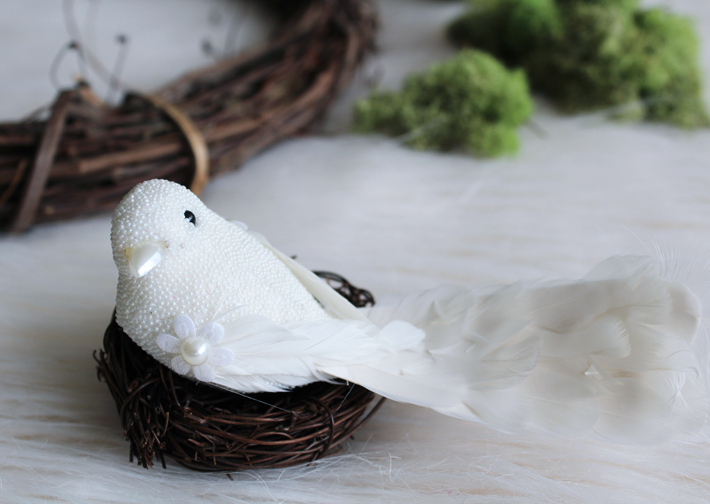 I began with the wreath and used my hot glue gun to attached my nest to the top of the wreath (keeping in mind to make sure it didn’t sit too far back so it prevented the wreath from hanging neatly on a wall) then glued the bird inside the nest. 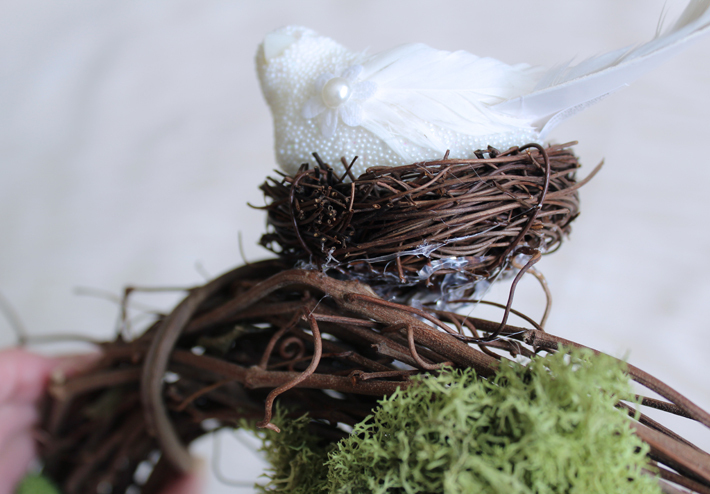 It definitely didn’t look pretty on the back (see below) so I used some of the moss and glued it around the nest to hide the glue mess. Boom. Next, I used the hot glue to attach the paper flowers as well. These had adhesive backings for each flower, but I decided to use my glue just to make sure they didn’t accidentally fall off later. 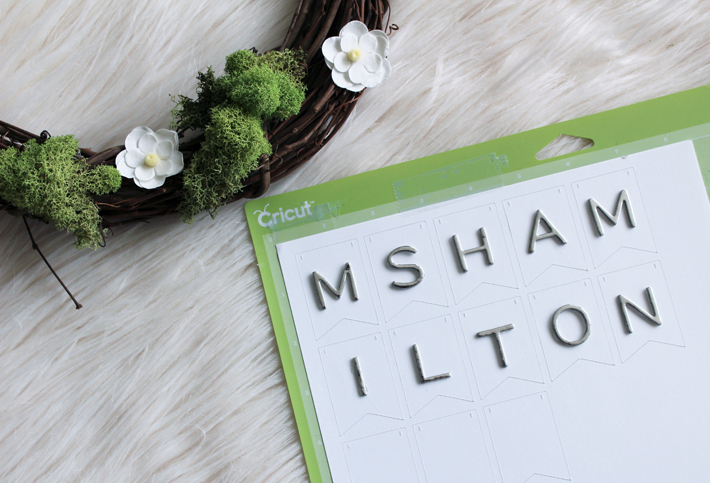 After the wreath was complete, I used my Cricut machine to cut out the banner pieces (I was too lazy to do it by hand… ha!). Before removing them from the sheet, I hot glued each letter to each piece (again, choosing hot glue for added security). 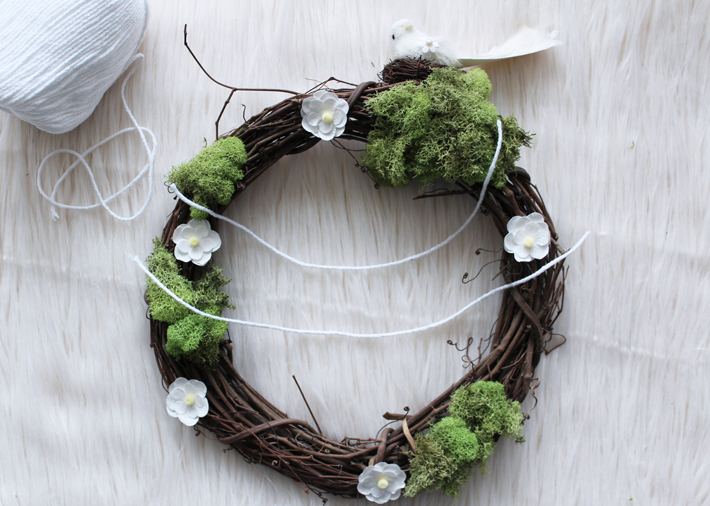 I laid out some cotton yarn onto the wreath to get an idea of how long to cut each strand. I was sure to cut them longer than I needed them so I didn’t have to worry about not having it be long enough. I just trimmed the excess off later! 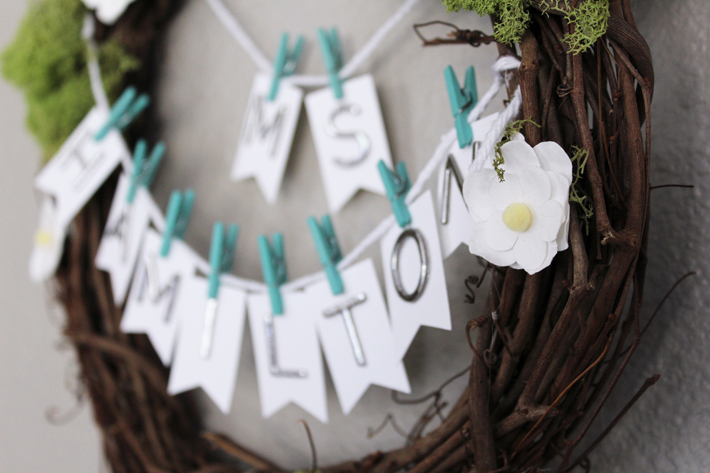 Once I had my trimmed cotton pieces, I used my mini clothespins (I chose teal/aqua because that’s her favorite color!) to attach the letters. 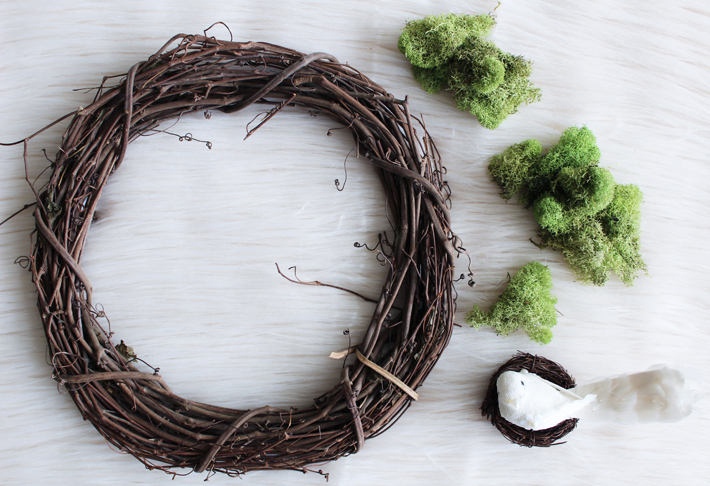 After I had the spacing all figured out, I used my hot glue gun to secure the yarn onto the wreath. 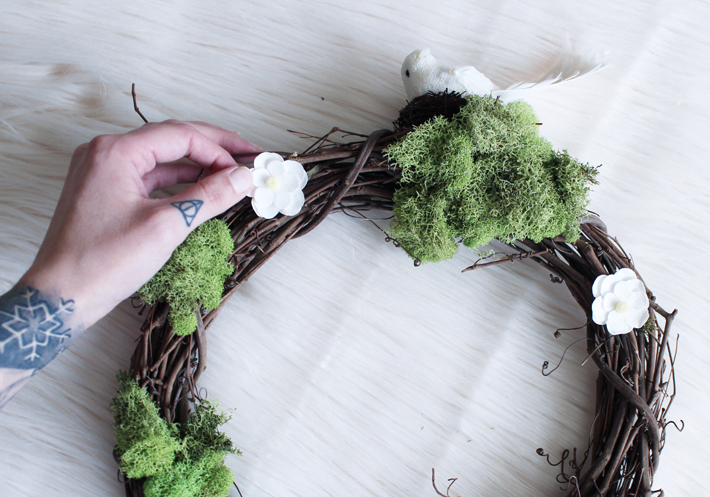 I glued them towards the back and in “hidden” spaces among the moss to hide the glue mess. I sure do hope my daughter’s teacher loves her gift! Even if she doesn’t, I sure do and am so happy with how it turned out! Do you want to make one?! I made it easy! Click on each word of the “Materials” list and it will lead you to an Amazon listing (prime eligible and/or free shipping offered!) where you can purchase all necessary items to get started! Don’t forget to let me see everything you make! 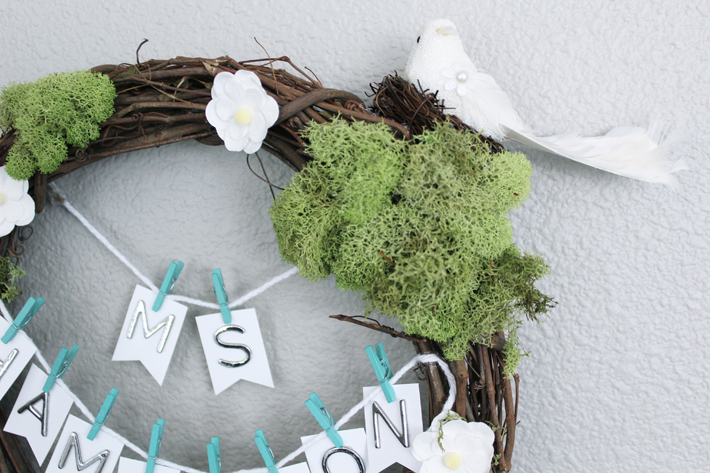 Use #thehooknook on social media to share your makes with our little community! Make on, my maker friends! !